After more than 26 years of waiting since the Redskins won the Lombardi Trophy in 1992 (9,629 days, if you want to be precise), a Washington team has won one of the “big four” national sports championships! Our beloved Washington Capitals have won a Stanley Cup! The news that the Caps finally got to hoist Lord Stanley is, by now, two days old. That feeling of newness, however, feels just as fresh as it did when the celebration began at T-Mobile Arena in Las Vegas. For the people living in D.C. and our expats all around the world, this Cup is a moment far too overdue. For me, this is a first-in-a-lifetime event. 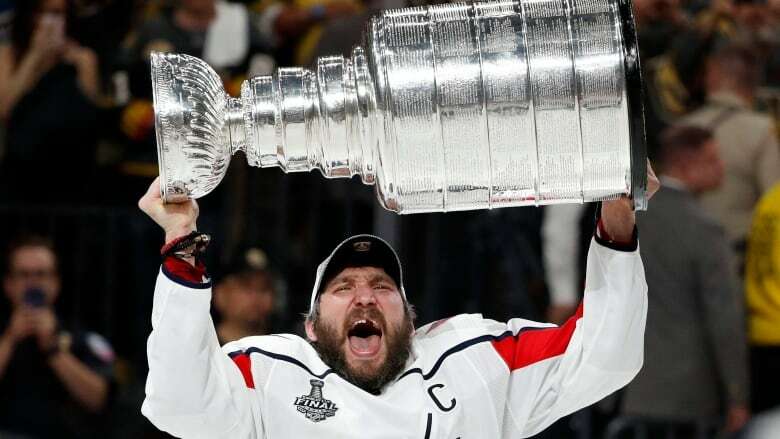 Consider that the city of Washington, D.C., has won a world title six times: a World Series in 1924, three Super Bowls in the 1980s and 1990s, an NBA Finals in 1978, and, now, a Stanley Cup. Boston, in comparison, has won six championships, as well…since 2004. Finally, finally, Washington has done it! I have only been on this planet for the last fourteen years, and have up to now only experienced sports heartbreak. I have watched my first love, the Washington Nationals, get their championship dreams crushed in 2012 with 2 outs and 2 strikes in the 9th inning. The Nats then went on to lose in playoff series in 2014, 2016 and 2017, and missed the playoffs altogether in the 2013 and 2015 seasons. I have watched the Washington Wizards lose to the Eastern Conference powerhouses of the Cleveland Cavaliers, Toronto Raptors, and New York Knicks of years past. I have watched the Washington Redskins get thrown around in the Wild Card games to the likes of bitter rivals Dallas, Green Bay, and Philadelphia. I have watched the Washington Capitals have their dreams crushed by the Rangers, by the Canadiens, by the Lightning, and by the Penguins when they’ve been able to field President’s Trophy winning teams. So, this Caps win means something to everyone. Not just the long-suffering fans who have followed this team from 1974, or the fortunate season ticket holders who take in 41 games at Capital One Arena, or the basement dwellers who watch each and every game. It’s the also my generation of D.C. sports fans who has grown up with the likes of Bryce Harper, Alex Ovechkin, John Wall, and RGIII. We are as ecstatic at the Caps win as the fans that grew up with Dale Hunter, Wes Unseld, John Riggins, and without an MLB team for all of those years. Everyone in the city seems energized. Look around you and notice how many people are wearing red and beaming with city pride. That’s why Capital One Arena and the streets surrounding Gallery Place were jammed with literally thousands of fans to watch games that were occurring thousands of miles away. What made this year different for the Capitals? Going into the 2018 season, fan favorites Marcus Johansson, Karl Alzner, Justin Williams, and others were no longer rocking the red. Experts picked teams like the New York Rangers and Carolina Hurricanes to finish ahead of these Capitals, and some people even predicted that the Caps would miss the playoffs altogether. General manager Brian MacLellan made great free agent signings this offseason of Alex Chiasson and Devante Smith-Pelly. He traded midseason for promising defenseman Michal Kempny, who proved his value by having a breakout playoffs. Even the acquisitions by the Caps’ former general manager George McPhee paid off these playoffs, though McPhee was on the other side of the ice as the GM of the Vegas Golden Knights in their debut season. The role players like Smith-Pelly, Jay Beagle, Chandler Stephenson, Lars Eller, and others meshed with the franchise players of Alexander Ovechkin, Nicklas Backstrom, Evgeny Kuznetsov, T.J. Oshie, John Carlson, and Braden Holtby to create an unstoppable force that rammed their way through these playoffs. The new fans created during this playoff run have learned to not just get behind Ovi and Backy, but to love Smith-Pelly and Eller. Nicklas Backstrom is a Stanley Cup champion. Lars Eller is a Stanley Cup champion. T.J. Oshie is a Stanley Cup champion. Evgeny Kuznetsov is a Stanley Cup champion. Devante Smith-Pelly is a Stanley Cup champion. John Carlson is a Stanley Cup champion. Brooks Orpik is a *two-time* Stanley Cup champion. Braden Holtby is a Stanley Cup champion. Barry Trotz is a Stanley Cup champion. And last, but definitely not least, Alexander Ovechkin is a Stanley Cup champion. This is NOT a dream. Embrace it. Believe it. They’ve done it. We will savor his championship through October, when the Capitals and their loyal fans will re-enter the arena as defending Stanley Cup Champions. See you then at Capitals Won Arena!